Kalpetta was fully covered with dense fog. Nothing was visible outside the hotel. After a brief session of cleaning my drivetrain, I sat down and waited for the flag-off. We started at 8:00 am. The riders waited for a long time for the flag-off! 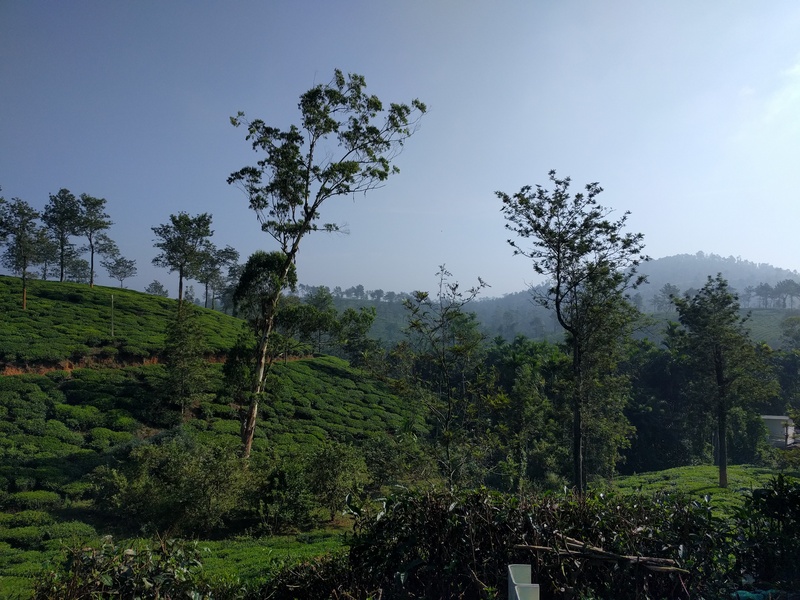 We passed the beautiful tea plantations multiple times at multiple places. The terrain was unforgiving. There were constant ups and downs. At times I was using my easiest gears and only managed about 7-8 kmph. The downhills were the only saving grace. But that did not stop the climbs from being brutal. 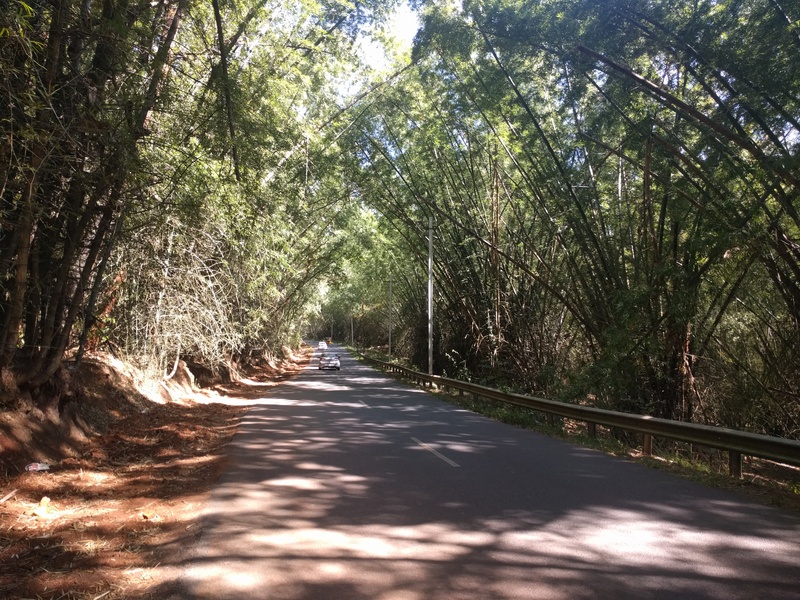 These bamboo grooves provided the much needed respite from the horrible temperatures. I believe we passed though areas where the temperatures were soaring around 35 degrees. 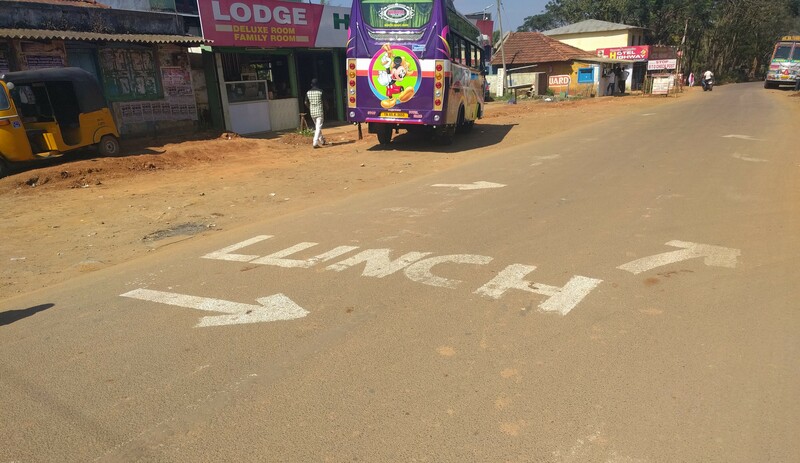 You wouldn’t know how happy I was to see the lunch station at the 84 kilometre mark. 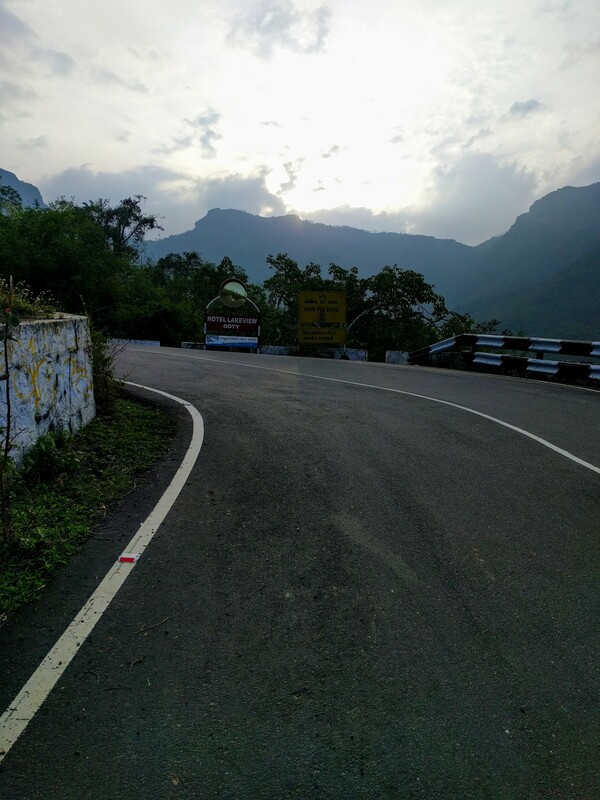 Since bicycling is not allowed inside Mudumalai, we had to bunch up and ride at 20 kmph behind a car. While the first five kilometres were a breeze, the terrain became rolling. At times it was hard to climb and keep up with the car. I somehow persevered and kept moving. We saw deers and elephants up close. A mother and her cub were so close that it was frightening. We silently rode away. Sadly, I don’t have any photographs. We were not allowed to stop. People who had spread out and got dropped were later escorted by another car. Kalahatty or the 10% gradient or the climb that kills or the wall or multiple F-Bombs! We were asked to reach support station 2 (just before the climb) by 1:30 pm. I reached there at 3:55 pm. The guys at the station clearly told us that we were not going to make it. 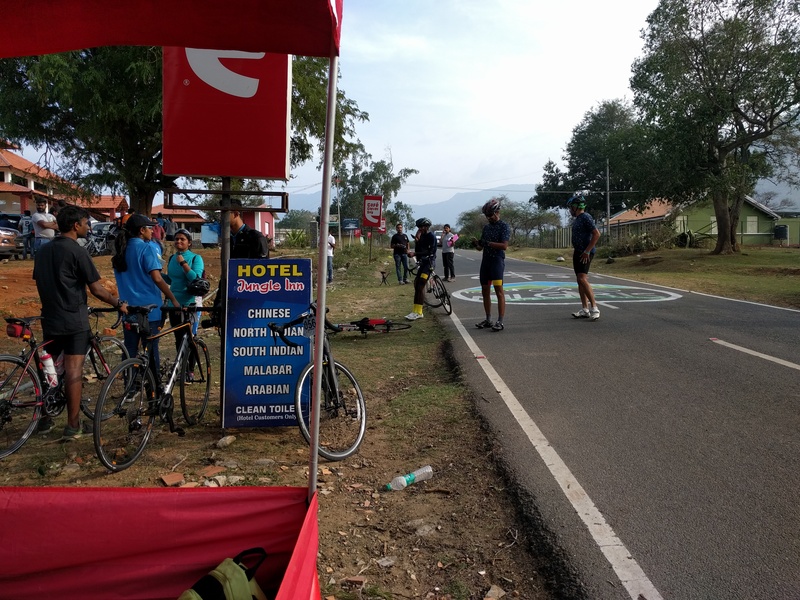 Support station at the base of the climb. Station 3 was after 9 kms and station 4 after another 7. That’s how demanding the climb is. How does >10% gradient feel like? In short, brutal. 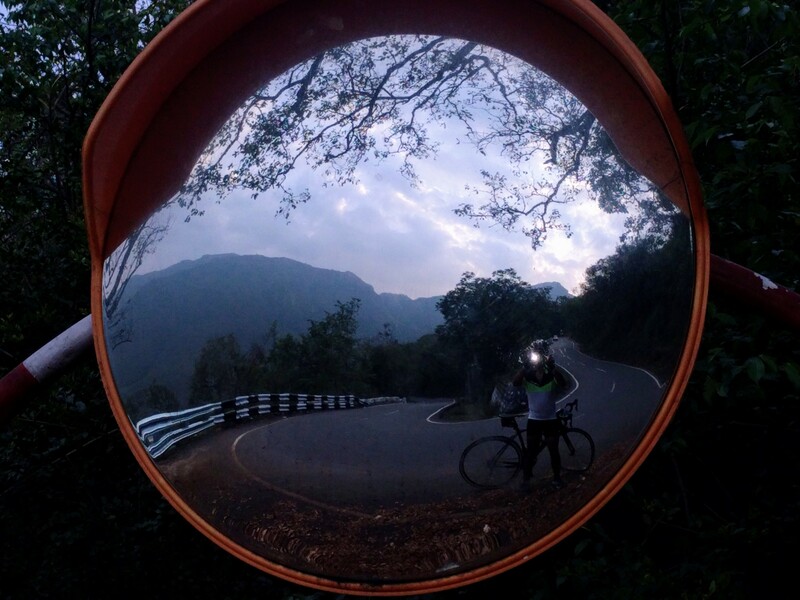 At times I was on the bike. At other times, when the speed fell below 4 kmph, I walked and pushed it forward. At times my bike stopped and rolled backwards. After a few kilometres, my brain stopped working. I occasionally stopped and sipped some water and moved forward. I even borrowed some electrolytes from a support motorbike. That’s when I realised that one of my bottles was missing. I have no idea what had happened. I was so spaced out. 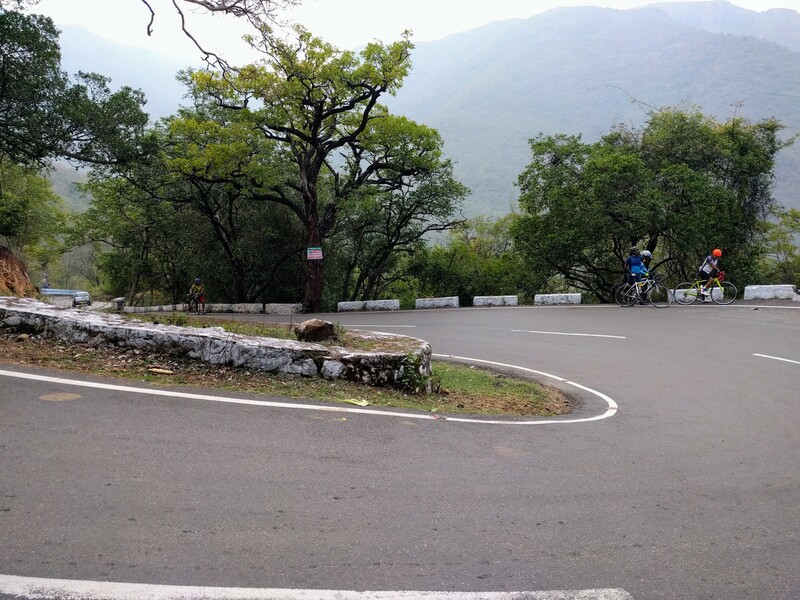 This is the first hairpin bend (36/36). Daylight wasn’t on my side. I decided to push myself till the next support station (bend 16/36). The organises have a sadistic bent of mind. I have dropped multiple f-bombs on seeing this. This is how average riders like me attacked the climb. One of the guys is getting ready to get on the saddle only to get back to walking in 100 metres. Meanwhile, I received the news that there were two accidents somewhere uphill. One of them involving Michael, a rider from Sweden, was serious. As the sunlight was dimming out, I made the only sensible decision of the entire climb (I am amazed that in spite of being bonked, I was able to make any decision.) 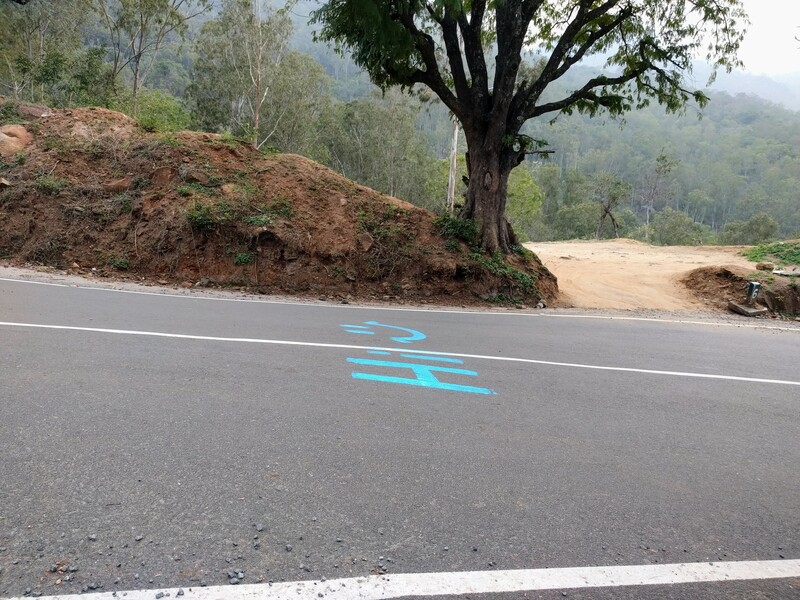 I decided to stop at support station 3 (at reverse-counted 16 of 36 hairpin bends or approximately at 60% of the climb). There were riders who decided to move on. Since I had no lights, I decided to stop for the sake of my own safety. My other roommate and many others pushed their bikes in the dark and completed the course. While I could have done that, too, I think it would be best to ride at least 80% of the climb. Look at the hairpin bend and the elevation before and after that!!!! By the time I reached the support station 3 (16/36), it was dark. The chill in the air was numbing. I desperately needed tea before getting on the truck. Pros and semi-pros who did it under 2 hours and 30 mins. 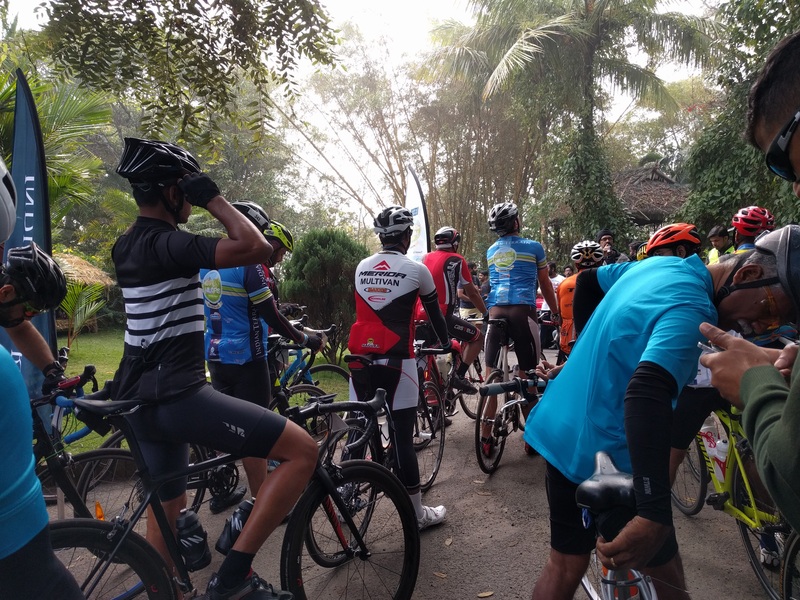 The fastest was KKR (Kiran Kumar Raju), national MTB champion. The oldest guy, Russel Bell (70), did an impressive climb on his Dogma F8. People who have trained hard on an all-carbon lightweight bike. I have seen a lot of them get down and push a bit more. People who braved the darkness jeopardising their own safety. 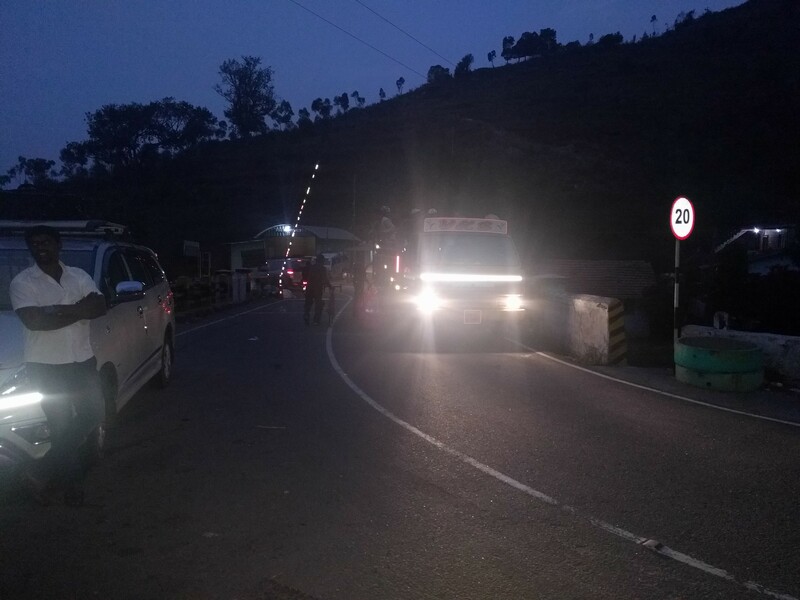 People who arrived early at the base and trekked all the way to Ooty. Things were worse on the support truck. My bib was all wet and the temperature dropped rapidly. As the truck moved, the cold wind felt like needles piercing my skin. I had to get down at service station 4 and get in a support cab. The experienced guys had already handed over warm clothes to the support crew at Kalpetta. Once I was back at the hotel, I took a bath and ate like a pig. Tomorrow is a rest day.